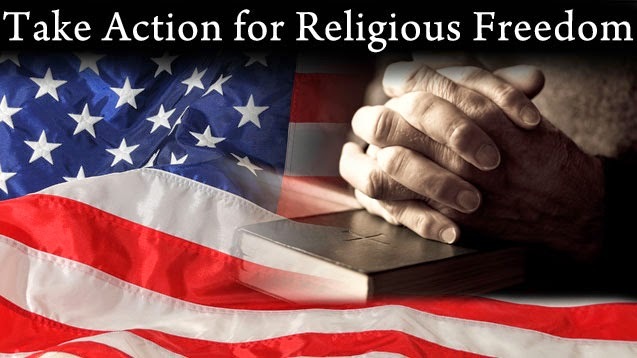 The Fourth of July concludes the Fortnight for Freedom that was urged by the United States Conference of Catholic Bishops (USCCB). I hope that you took the time to read and to educate yourselves through the materials that the bishops posted on their web site, some of which was also available in the vestibule of our Church these past two weeks. More importantly, I hope that you made time to pray for this most urgent cause. The open letter highlights the threat to conscience posed by the Administration's mandate that almost all employers cover contraception, sterilization and abortifacient drugs and devices in their health insurance plans. As the signatories write, freedom of religion goes beyond mere freedom of worship and extends to believers' roles as citizen and employer. "The doctrines of our respective faiths require something of us beyond the walls of our churches, synagogues, temples, and other places of worship," the signers said. "Those faith convictions manifest themselves through our daily interactions among family, neighbors, strangers and institutions." Many of us will celebrate this Independence Day weekend not really thinking about the price that was paid and is still being paid so that we may live, work, speak, write, worship, etc. in a free society. Some of our finest men and woman have sacrificed their lives over the years for this country and its principles of freedom. Whether it be in the military, through law enforcement or other means of public service, the dedication and commitment to keeping our country “free” is evidenced by those who continue to step up in service to this nation. Thank you for all that you do to serve and protect us. Also remember that it is God who has given us all the gift of free choice. We are created with the ability to think, to reason and to choose. The choices that we make should be in such a way that we respect our God-given dignity as children of God. Our gift of free choice should lead us to love God because He has first loved us (1 Jn. 4:19) into existence. Our free choice also enables us to love our neighbors as ourselves (Mk. 12:31) as Jesus commands us. It was Jesus who freely chose to suffer and to die for us. He showed us that the right choice is not necessarily the easy choice or the popular choice. 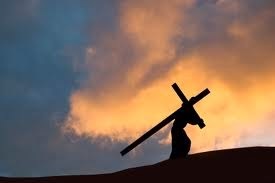 His choice to free us from sin and death saw Him make the ultimate sacrifice of His life for us. No, true freedom is never really “free.” Is it?